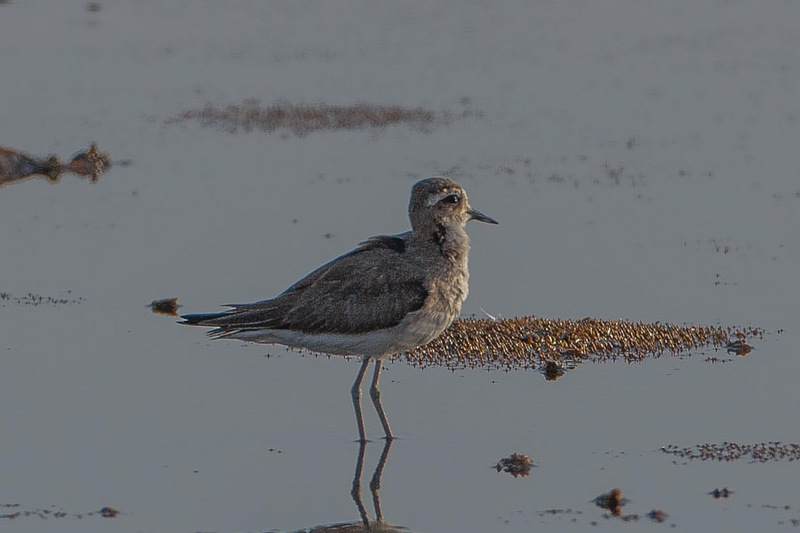 Phil Roberts went to the Dhahran Expro Wader Roost on Saturday 24 August and photographed a Caspian Plover and saw two birds in total. Caspian Plover is uncommon to scarce passage migrant, usually more common during spring migration. In Kuwait birds are often seen inland in the desert where it may stop for short periods near farms or tiny pools. Almost all birds seen in the Eastern Province have been seen away from the coast and on the littoral, but they are almost always associated with fresh water. I suspect if I birded inland more I would have a greater chance of seeing the species in Saudi Arabia, but I am sure I will see one, one day. I have yet to see Caspian Plover in Saudi Arabia, although Phil, who has been in Saudi Arabia a lot longer than me has seen them on a number of occasions including at Dhahran Hills and Sabkhat Al Fasl. Phil very kindly allowed me to use his photograph, which was taken into the setting sun, the copyright of which remains with Phil. I haven't seen it either yet. I have been on the look out for it this autumn but no success. Congratulations to Phil. Sounds like they often use inland areas near freshwater so maybe you have a better chance than me of seeing it in KSA? Anyway lets hope we both see one soon - it is one of the best times of year for them now.